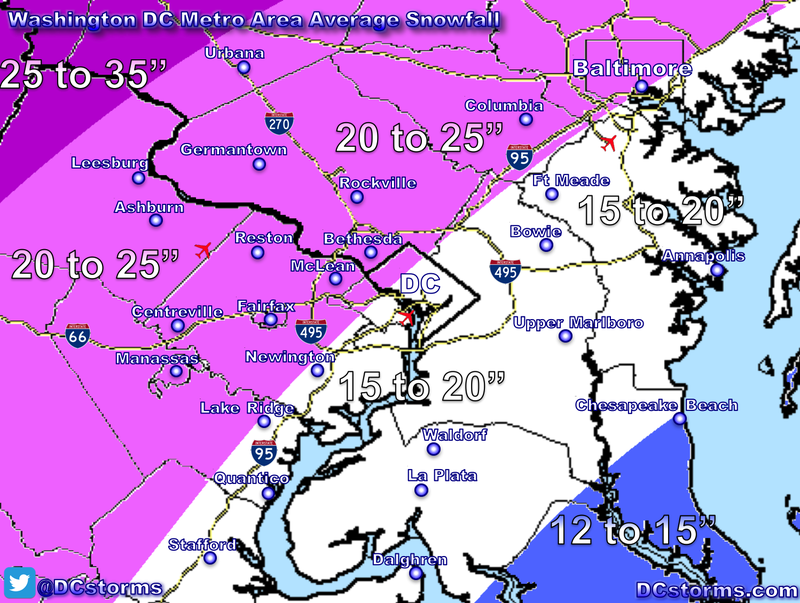 Light Snow is currently forecast to develop across parts of the D.C. Area on Saturday morning, possibly continuing throughout the afternoon hours. 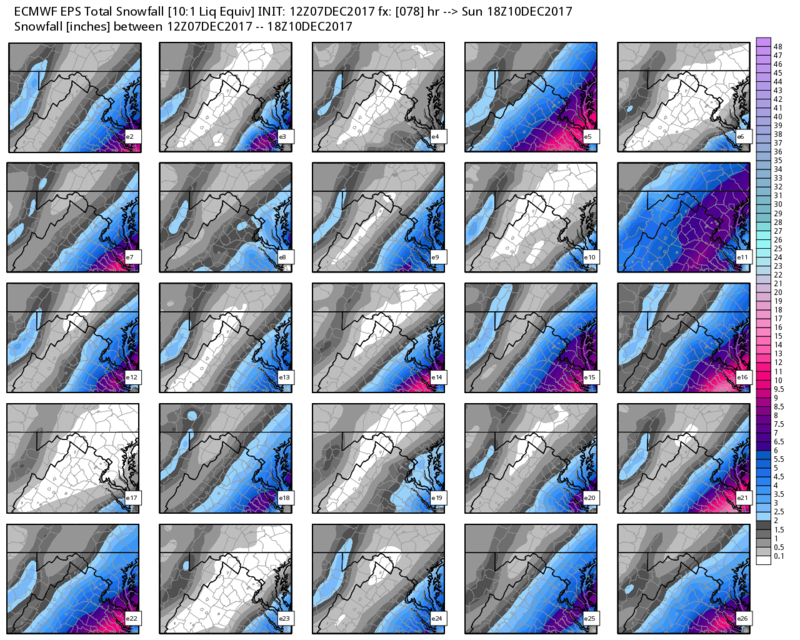 The latest forecast models vary with potential accumulations but show the best odds of an inch or more would be along and east of 95 (at the moment). Latest Ensembles from the European Model show some uncertainty in regards to how close to the coast the area of low pressure tracks. 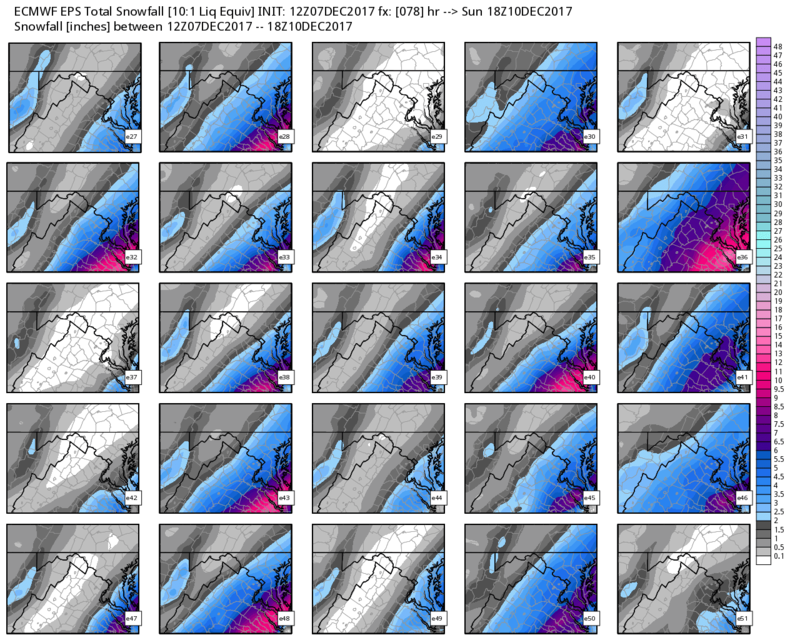 In the two images below, some ensemble members have no snow accumulation in the immediate D.C. area while others show one to three inches of accumulation (likely contained to grassy surfaces). 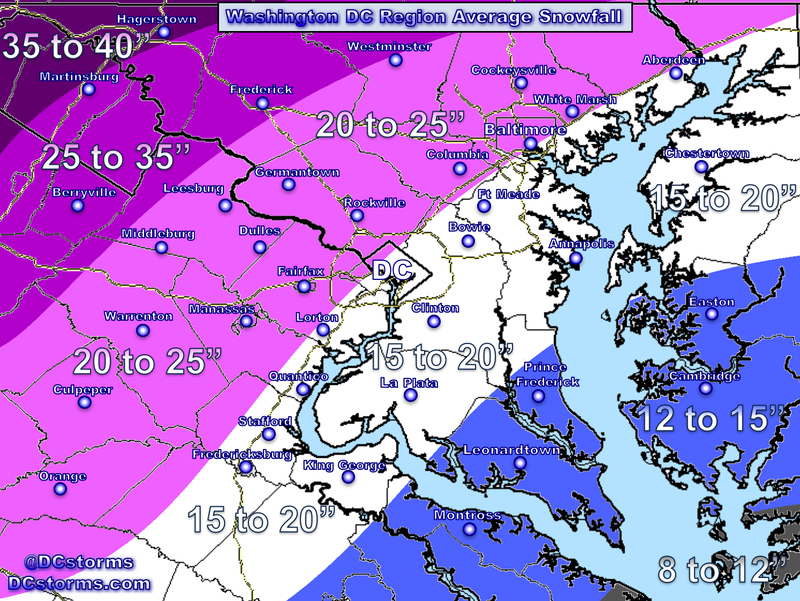 If this system were to track a bit further west (closer to the coast) then our odds of picking up more than a dusting in D.C. and its western suburbs would increase. 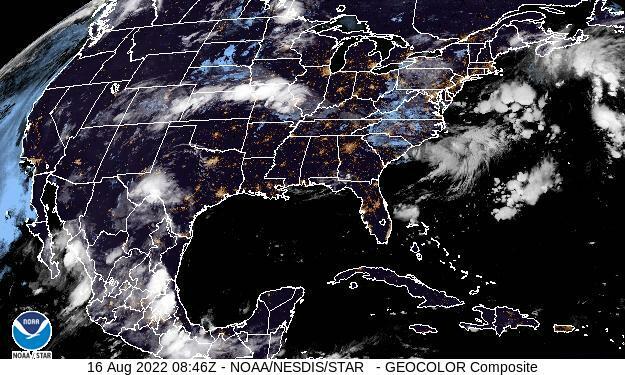 The weather nerds will be watching this closely on Friday. Regardless, Snow on Saturday isn’t a bad thing as it won’t be occurring during a rush hour and if anything should put everyone in the Holiday spirit.